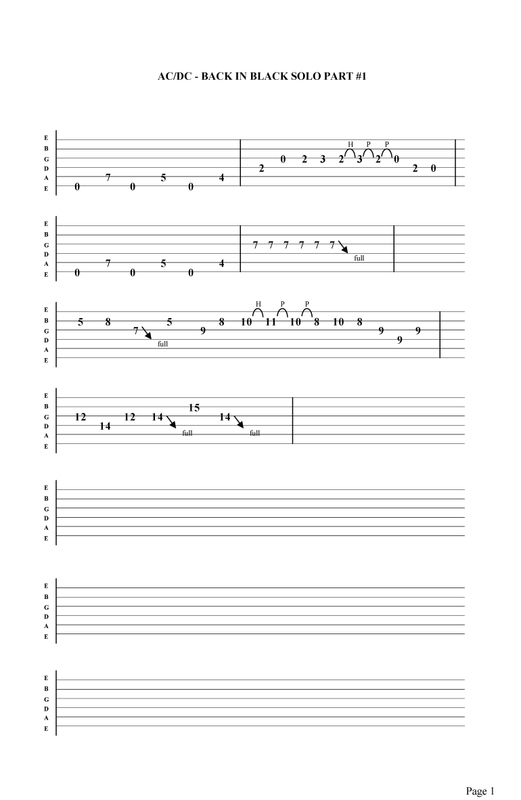 Free AC/DC - Back in black solo part #1 guitar tab . Taken from the 'Back in Black ' album . Click here for the Back in Black solo video Guitar Lesson .